Police said a man fired several shots in the city’s first district at 1:30 pm (1230 GMT). “A terrorist motive is out of the question,” it said in a series of tweets, adding that early indications pointed to a “targeted crime”. “Following the shooting in the city center, there are intensive search operations going on throughout the city,” it said. “There is no danger to bystanders at this time,” it added. Several people have been stopped and questioned over possible involvement but the suspect is still on the run, the police said. A police helicopter hovered over the city center near where the two casualties were found. The surrounding streets were closed to traffic and pedestrians and local media reported that police in bulletproof vests and helmets had been deployed. 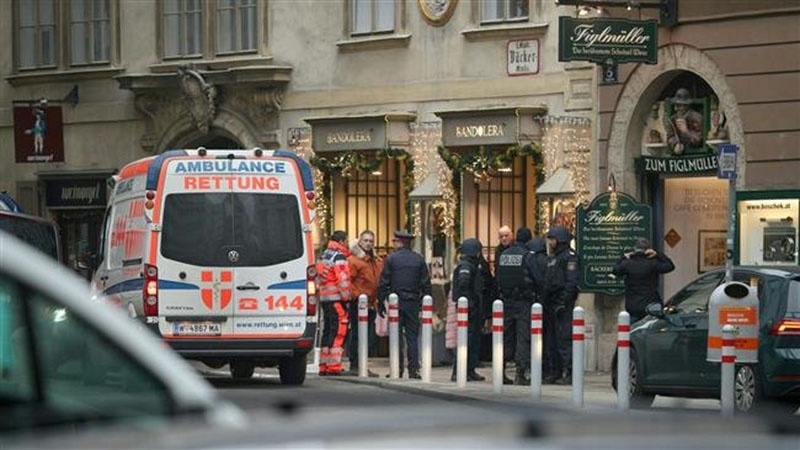 One witness told the Kurier newspaper that the victims had been shot at in a passageway. “There were two people lying on the ground, and a third guy was saying: ‘Brother, brother!’ in a Slavic language,” the witness said. Other witnesses said the suspect escaped in a car, according to the ORF broadcaster.